Sioux Lookout Meno Ya Win Health Centre Pharmacy staff are members of the health care team. They work directly with physicians and other health care professionals within the hospital. The pharmacy is an inpatient service, providing pharmaceuticals as prescribed by our physicians. They also provide information on medications to the medical staff and to patients and their families. Pharmacy assists in the coordination of seamless care for medications, using a method of recording and listing medications taken prior to admission to hospital and those to be taken after discharge. For safety reasons and to facilitate this process, it is always recommended that patients bring their medications from home when admitted to hospital. Approximately 80% of the our patients come from northern communities, where diabetes is a serious health concern. As a result, our team is familiar with the many issues surrounding diabetes, including infections, cardiac and renal problems, and has developed an extensive knowledge and expertise in dispensing of medications to patients with these medical issues. 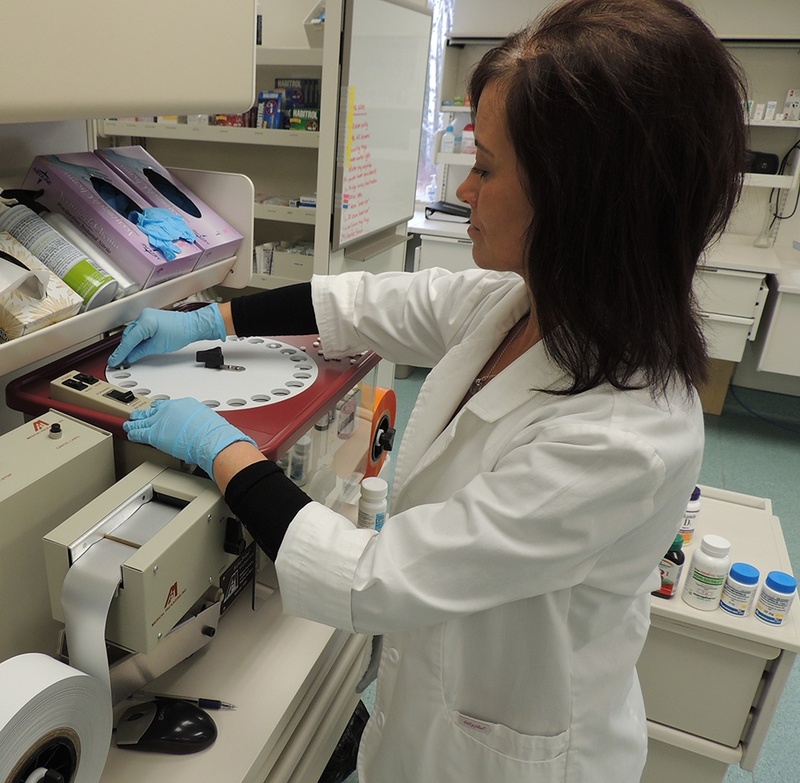 We operate on a unit dose system, packaging individual doses within the pharmacy and using automatic dispensing cabinets for direct distribution within the hospital. This new technology is considered to be the most accurate and secure method of distribution of medication. We are also, a satellite of the Thunder Bay Regional Cancer Centre for chemotherapy treatment of area residents. Our pharmacy has recently completed major renovations to ensure all standards are met for our sterile preparation facilities. This includes both chemotherapy preparation areas and sterile IV admixture preparation areas. Currently, our team consists of a Pharmacy Manager, a Clinical Staff Pharmacist, Pharmacy Technicians and Pharmacy Assistants. The pharmacy is located within the diagnostic and treatment area of the hospital.